I had not been to the dentist in quite some time and will never miss another visit after receiving the best service ever. Aleena was my hygienist and was absolutely wonderful. There was a lot of cleaning that needed to be done and she made me feel comfortable throughout the entire process. She was extremely informative and it was a great learning experience. I would recommend TCD to anyone and look forward to my next visit. Thank you Aleena! Everyone in this office were very friendly and knowledgeable. As a new patient I felt they took their time to know me and did a great job. I would highly recommend converting to town center dental. From the staff in the front to Dr Paes and his excellent hygienist Sandy I find everyone to be warm and caring. What an amazing office! The staff was extremely friendly and accommodating to the hours I needed for my appointment. Would absolutely recommend Town Center Dental to friends and family. Thanks Maryellen and Dr. Paes!! Extremely friendly, informative and caring. From front desk to Dr. Paes, everyone was clear and detailed oreiented. And ultimately my teeth look and feel better than they have in some time from the excellent hygienist Mary Ellen. Would highly recommend converting to town centre dental. Dr. Wilkie Paes and his assistant Lea work well as a team. They are very personable and professional. I had a replacement crown and a new crown done together. Dr. Paes walks you through the process. The professionalism, quality and workmanship are impeccable. From the moment you walk in the door you will find the entire staff are very pleasant and professional. The practice has the latest technology. If you are looking for a dental office....... look no further! Highly Recommended! Had a great experience at Town Center Dental today. Started with a warm greeting by the friendly front desk staff. Then, MaryEllen, my hygienist, was thorough, friendly and explained each and every step of the process from x-rays to my final cleaning. Dr. Paes then did a complete exam. He was calming, communicative and highly informative. Dr. Paes and Town Center Dental is now the dental office for me any my family. This dentistry office is absolutely incredible. 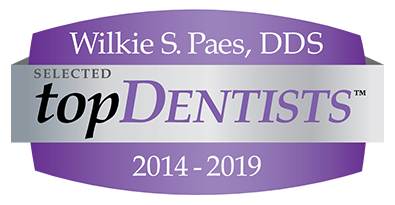 I do not like going to any doctor's office and I was not intimated by any staff member and especially Dr. Paes, the dentist. He thoroughly explained all the procedures and payment plans. The prices are VERY reasonable for someone without insurance. He spent a large amount of time with me discussing insurance and dental maintenance. The television screen of your teeth was pretty cool! Sunglasses to wear to dim the light was a nice too. Great dentistry office!! !